Hideaway Moutain Escape is Deer Creek Properties newest rental and it’s a great one! 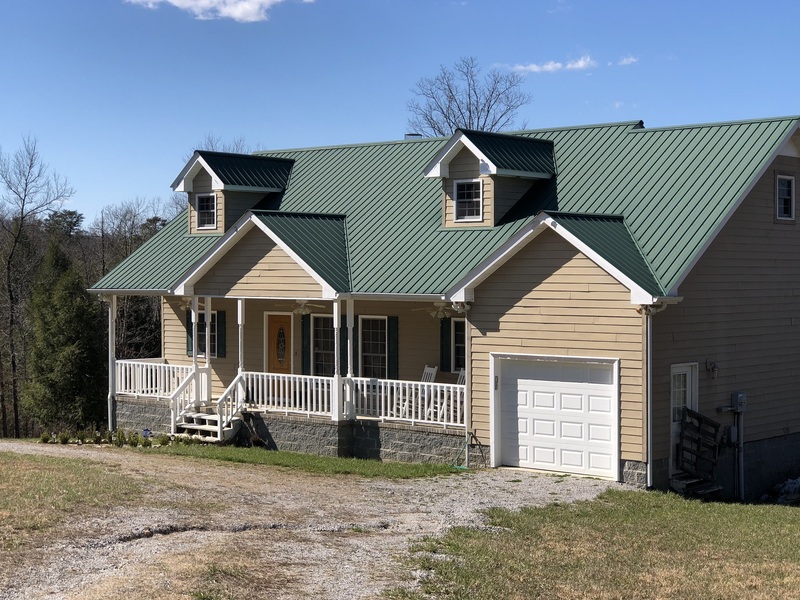 This beautiful home is located on the south end of Fall Creek Falls State Park and is just 2 miles from Highway 111 in Spencer, TN. Located on a beautiful 2 acre lot, you may feel like you are miles away, but your really not. 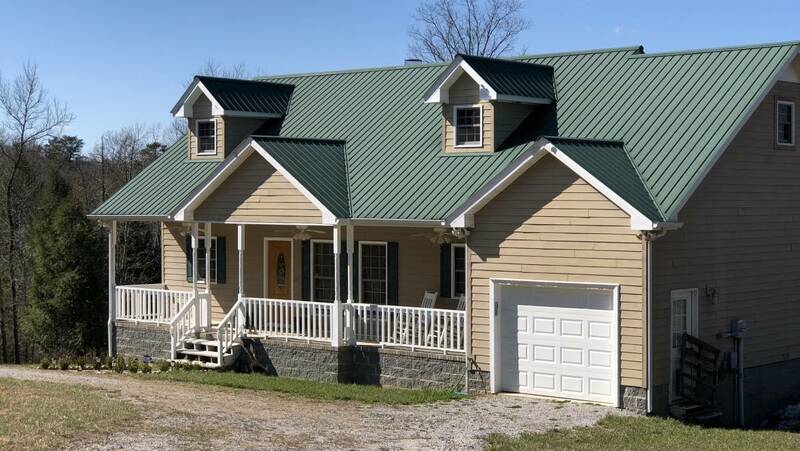 Hideaway Mountain Escape makes you feel like you are very secluded yet you have all the conveniences of home! This home is great for multi families, family reunions or even a Friendsgiving! This 4 bedroom, 3 bath home has 3 levels so there is plenty of room for everyone! Great den area upstairs to play Wii Fit, watch a movie or read a good book. There is a also a small nook for a work area, if you must. Of course there is great Wi-Fi. The downstairs has a large living room with a high top table that is great for playing cards or board games, a large sectional sofa and kitchenette. Hideaway Mountain Escape is great for kids because there are games galore! Board games, video games and outside games are available for guests of any age to enjoy. The kitchen and dining room area located on the main level of the house and the kitchen has everything you need to prepare your meals. Lots of extras such as crockpot, blender, soda maker, many pots/pans and casserole dishes. There are many place settings so you are sure to have enough for everyone. Outside there is a gas/charcoal grill available. Propane is available for our guests use. Dine outside at either the upstairs dining upstairs or downstairs dining. It is a fun way to spend those summer evenings. Gather around the stacked stone fireplace after dinner to roast some marshmellows and make those s’mores! The bedrooms are located on all 3 floors so everyone can have a little alone time if needed. All beds are queen size and very cozy and comfortable. All linens and towels are provided and there is a full size washer/dryer for your convenience and use. This home is a really great way to spend time together with family or friends so make your reservation today by calling Tina at: 615-425-8288. SUMMER DATES ARE GOING QUICKLY, SO CALL ME TODAY!